Welcome. It is our belief that an active arts community is an integral part of what makes Ojai such a special place. There are over 20 active arts organizations in the Valley. Literary, visual and performing art groups fill the year with opportunities to not only observe but also to take part in the arts. As commissioners we strive to connect all these organizations and foster communication. 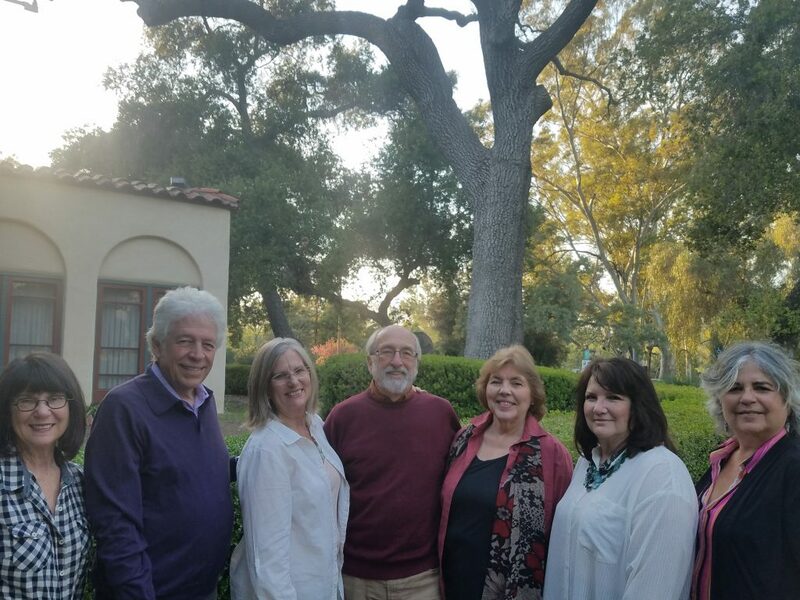 Our committees include: Finance, Public Arts Program, Acquisitions, City Gallery, Public Relations, Media and Outreach, Performing Arts and Literary Arts, Lifetime Achievement in the Arts, and Arts Grants. A city staff employee serves as liaison between the Commission and City Council, with a City Council member assigned to attend each meeting. Commission meetings are held the third Thursday of every month at City Hall at 6:30 pm. We invite you to become an active participant whether you live here or come to visit our beautiful valley.